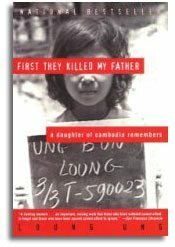 First They Killed My Father by Loung Ung, a book so frayed and tattered, curling at the corners; I carried it with me everywhere I went. I simply couldn’t put it down. What sort of a person could leave the words unturned? I just had to know what happened next to Loung Ung’s family during the brutal executions of the Khmer Rouge. As I cried into the disturbing pages which unravelled the truth about human nature (or insanity), the world around me was smiling. A little girl called Mei showed a nearby policeman her latest toy from Phnom Penh Market and her father’s face beamed as we all clumsily pointed at the map. He was our tuk tuk driver, and he was going to be for the next three days. 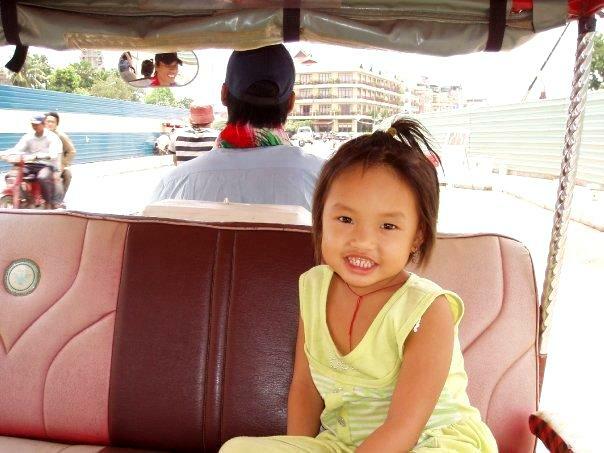 As etiquette had it, your tuk tuk operator was your designated driver until your departure, because in Cambodia, people just couldn’t afford to wonder how to feed the hungry mouths of their families when they didn’t have any business. This was just the way it was, no-one questioned it, and the world around me was still smiling. 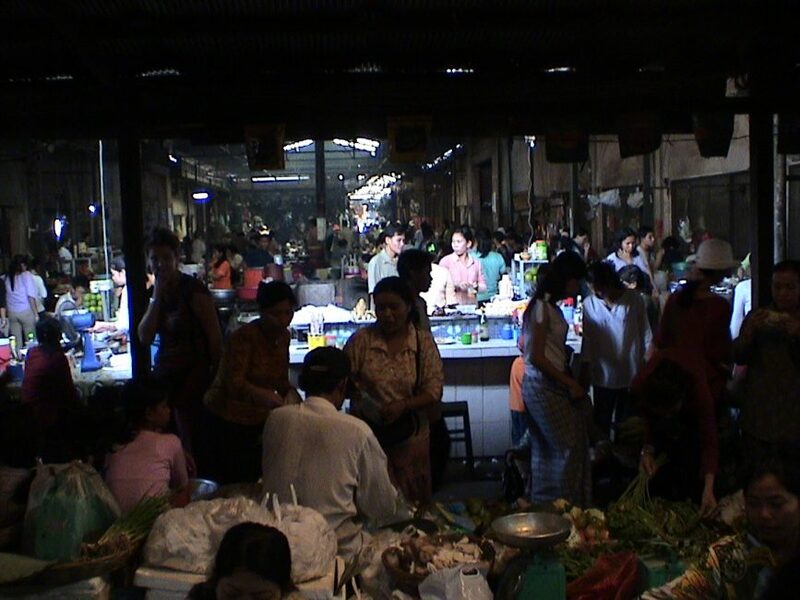 As Mei and her father drove us around the crazy Phnom Penh roads, I saw the ordinary everyday lives of hundreds of Cambodians unfold in front of me as I clung on tightly to my book. Despite the pain of Loung Ung as she watched Khmer soliders take the life of her father 40 years ago, life today for Mei went on as normal. I couldn’t believe it. The words in Loung Ung’s book and the picture painted by the country’s brave people seemed worlds apart to me. Masked by millions of smiling faces like Mei’s and her father’s, I couldn’t believe their past. But what tore me up inside was that this happened less than 40 years ago. Less than 40 years ago, human beings were throwing Cambodian babies into the air and watching their skulls crack as their heads collided with the ground. 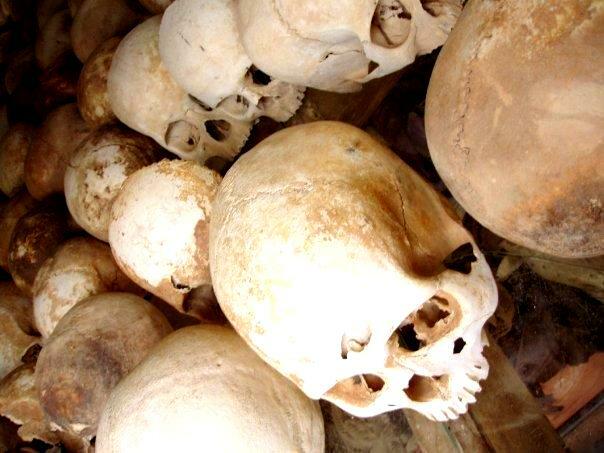 Less than 40 years ago, people were buried alive because the Pol Pot government didn’t want to waste the expense of bullets. Less than 40 years ago, children under the age of 12 were given guns and brainwashed into shooting their own families. As I got further into the book and learned more about the terrible things that happened to Loung Ung’s family, I realised that this was just one girl’s story. Loung, despite her four years of suffering, was one of the lucky ones who didn’t have to seize a gun up to the head of a loved one, and as our tuk tuk guided us through the humble city, I wondered how many faces I’d seen were the faces of a child soldier. The old man selling eels at the Russian Market in South Phnom Pennh – he seemed like any other old man with a family to feed, but could he have been a child executioner in a past life? The monk coming out of the Royal Palace – he had a serene expression on his face, but could he have been a cold blooded killer in the Khmer Rouge? Mei’s father beamed into the rear view mirror of his tuk tuk – his smile was so pure but could he have been a child soldier 40 years ago? Not everybody wrote down their feelings and shared it with the world like Loung Ung, but that just meant that what we didn’t know, couldn’t hurt us. 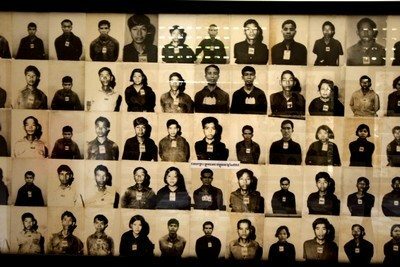 The soldiers and executioners of the Pol Pot regime were walking around us today, as were the victims, and although the hopeful faces blurring past our tuk tuk told an optimistic story, most outsiders like myself could never forget the truth. Because as outsiders, we didn’t have to force ourselves to forget. Our tuk tuk finally dropped us off at the Choeung Ek Genocidal Centre, whereit almost felt safer to be in the heart of a painful reality. The Choeung Ek Genocidal Centre is just one of the many killing fields dotted around the country, and this memorial painted a candid picture of events, more harrowing than any history book ever taught us. Bones scattered the ground, torn clothing lay there in the dust and over 9,000 skulls towered over me. This was a mass grave, one that didn’t paper over the cracks of brutality. Standing there, I felt uncontrollable sorrow to be in the dying place of 20,000 Khmer victims, many of whom were just children. Our guide told us that although nothing was concealed here at the memorial, the Pol Pot reign was still not a part of the Cambodia school curriculum. I was right – Cambodia just wanted to forget.
. I didn’t want to cry in front of Mei, not when she looked so blissfully happy without any inkling of her country’s recent past. I wondered whether her father, who seemed to adore her so much, would tell her about his in years to come. Back at the hotel, I put the book back into the bottom of my suitcase. I didn’t want to be seen carrying the very thing that everyone else was trying to forget, and I didn’t want Mei asking her dad why the book was making me so sad. A few days later, it was time to move onto Siem Reap and say our goodbyes to Mei and her father, and I could finally finish the rest of Loung Ung’s book. But I seemed to have built some false hope into the completion of her story, because even by the end of it, there was still no conclusion; I still didn’t understand why. Why did all those people have to die? For what? No matter where I go, or what I do in life, the memories of travelling in Cambodia always stays with me. The book will always be the one thing that makes me question the meaning of civilisation. And I hope that more people learn about the unforgiveable war crimes of Pol Pot and his men. Mags Yip is the author and editor of The Smart Girl’s Budget Travel Guide, a brand new travel blog for women. She shares all of her latest travels from South East Asia, Europe and America, and loves to swap travel stories with other nomads on Facebook and Twitter. 18 Responses to "Cambodia’s Pain First They Killed My Father"
Wow. I read this same book (and the sequel) when I visited Phnom Penh this summer. The context that her story provides really made seeing the killing feilds so much more powerful. Thanks for this post. Thanks for writing such a great piece Mags. It really resonated with many people. I thoroughly enjoyed the read while we were in Cambodia as well. I’m Korean and I’ve visited Cambodia twice — first with my company colleagues four years ago and second, which was July this year, with my wife and daughter. During the visit to Angkor Wat this June, I bought the book by Ms. Loung Ung and I’m still reading it. Since I share the same family name Kim as the writer’s family (which means gold, that is, ? ), I much like the style and atmosphere of the whole story. However, I feel that ths story has a little too loose plot and structure, and many descriptions of Khmer Rouge sound repetitive. Anyway, it’s very nice to meet online people like you that really like Cambodia and its people and can share our experience together! Hi Joshua, thanks for the feedback, that’s some valuable critiques for anyone thinking of buying the book. You are lucky to have visited Cambodia twice. We have only been to Cambodia the one time so far, but are looking forward to going back one day. I cannot imagine how much it has changed since we were last there in 2003. Well said Mags. A personal account is very important and that is what makes the book so powerful. Thank you for another reminder that “what we don’t remember, didn’t happen”. I saw that saying on a t-shirt at the Pearl Harbor Memorial and it chilled me. Cambodia is on my list of places I will eventually visit and your reminder of its past is helping to fill a reservoir of longing, facets of my future visit. I won’t forget. Well said Elaine, it is important to remember because maybe one day the human race will learn from our past. Thanks for your words, Elaine. Forgetting is easy for people but it doesn’t solve any problems. There are too many unspoken problems in Cambodia and even today, the “democratic” People’s Party (CPP) are making the Khmer people suffer. The CPP saved the country from Marxist-Leninist ideology, only to rob their homes and charge them “taxes”. I remember reading it while we were in Cambodia in 2003. 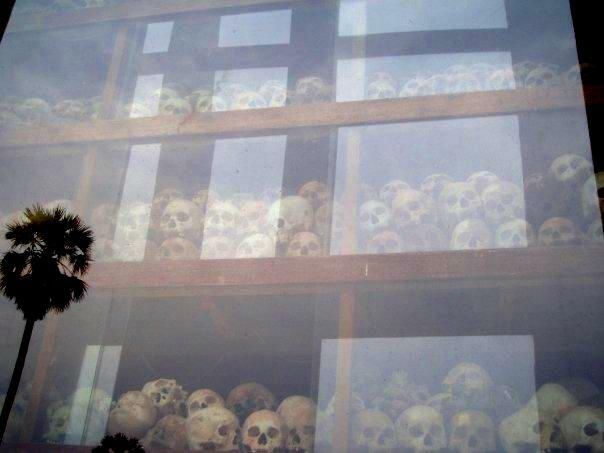 I knew very little of the Khmer Rouge regime before going to Cambodia nearly a decade ago. It is hard to believe that something like this happened during my lifetime and I knew nothing about it. Travel opens one’s mind and we learn so much. I don’t understand why people aren’t learning about this in all schools across the globe? I knew very little of the Khmer Rouge until I travelled to Cambodia too! It’s probably the only time I’ve cried hysterically in public! A very touching and well written article. I have read about Cambodia’s horrible past before and I can only imagine how sad it would be to visit these killing fields. It must be haunting but something that I will do one day soon. Cambodia seems like an amazing country. Dean, Cambodia is an amazing country, I hope you make it there soon.